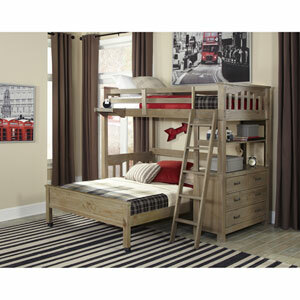 Save space and add a flair of style to your children’s bedroom with this twin over twin bunk bed. 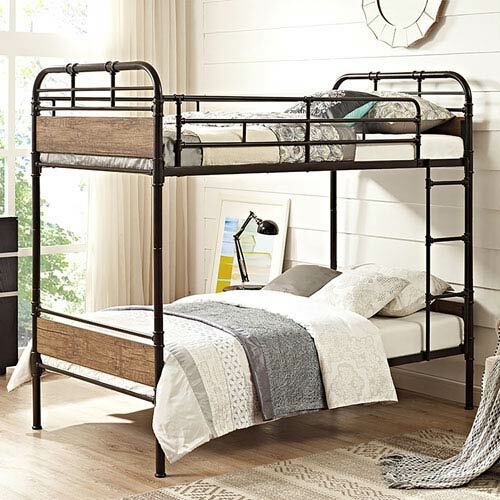 Designed to fit any bedroom’s décor and reliably constructed, the powder coated metal and durable wood together create a robust, yet beautiful bunk bed. 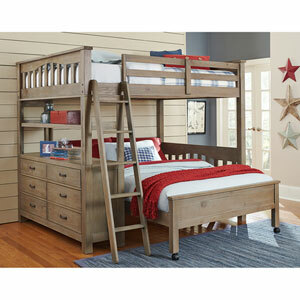 Features full length safety guardrails and an integrated ladder. 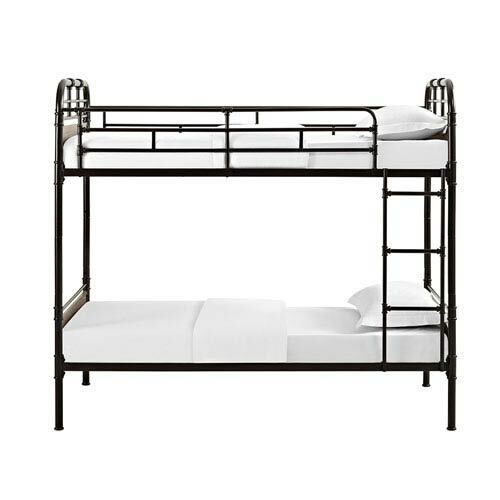 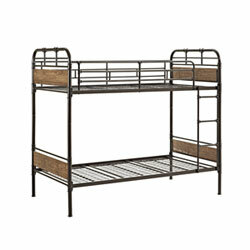 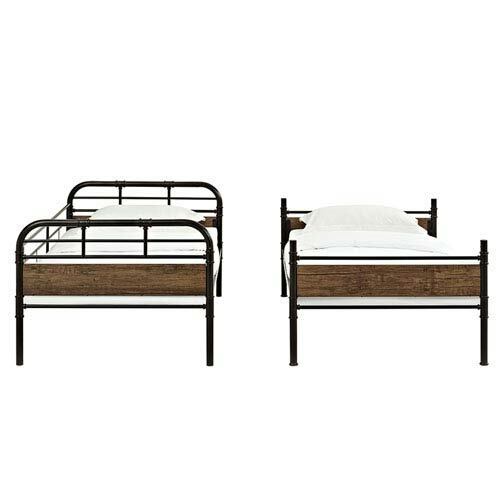 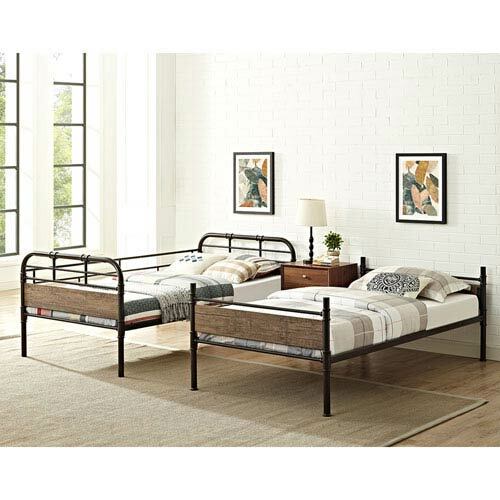 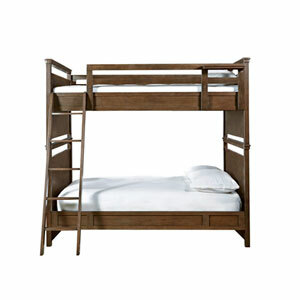 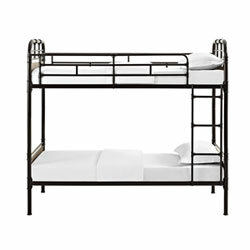 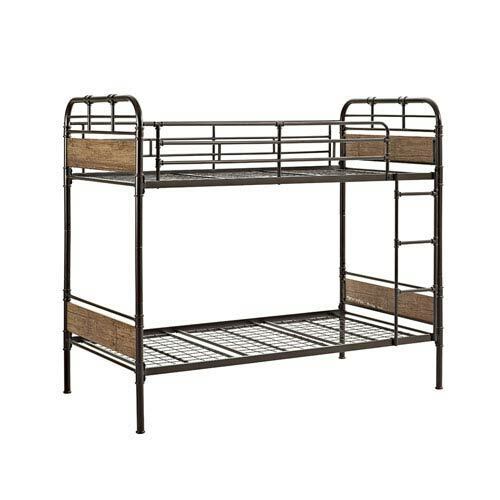 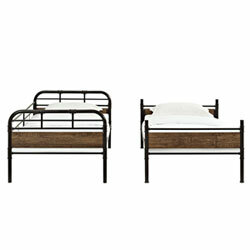 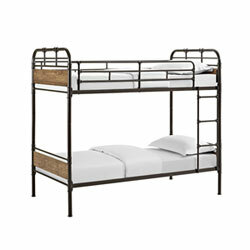 Twin over Twin Metal Wood Bunk Bed - Black is rated 5.0 out of 5 by 1. 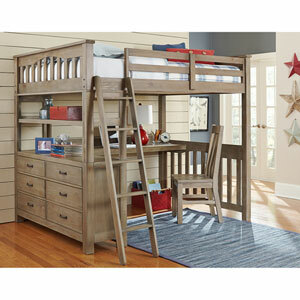 Rated 5 out of 5 by DebbieL from Great quality We were pleasantly surprised at the quality of these bunk beds and the ease of assembly. 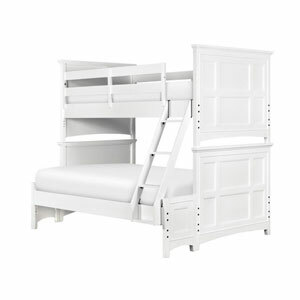 We have two in one room so my 7 year old can have sleepovers. 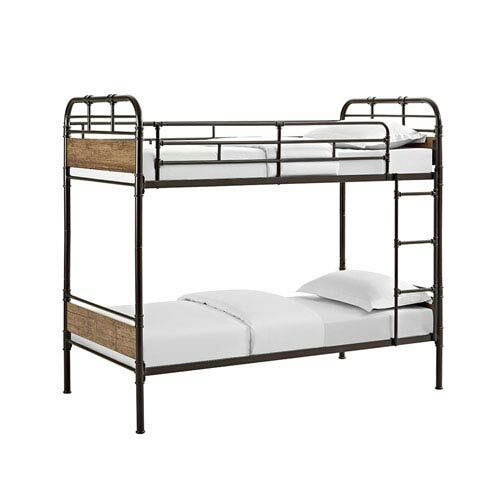 The two in a room look great. 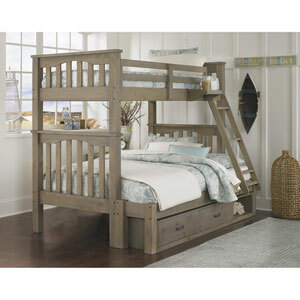 Bellacor has been impressive with timely deliveries and great customer service.